Six nuns have been freed almost a month after Pope Francis appealed for their release following their kidnapping in Nigeria. “We are happy; to God be the glory”, said Sister Agatha Osarekhoe, Superior General of the Sisters of the Eucharistic Heart of Christ, announcing the release of the sisters in a Fides news agency report. After almost two months in captivity the sisters are well, but have been taken to hospital for medical check-ups. 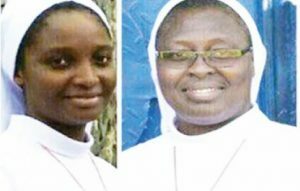 The three nuns, and three associates who hope to join the order, were abducted on 13th November 2017 in the State of Edo, in southern Nigeria. Sr Roseline Isiocha, Sr Aloysius Ajayi, Sr Frances Udi, and Veronica Ajayi were among the six kidnapped. The six were taken away in a speedboat by armed men who broke into their convent in Iguoriakhi. Just over a month later on 17th December, after the Angelus, Pope Francis united with the Bishops of Nigeria in an appeal for the sisters’ release. Earlier this month, the Bishops of Nigeria called for the sisters’ release, as did an association representing religious women. Local press reported that a ransom was demanded but Sister Agatha Osarekhoe said that none was paid. Instead. she said the police did their job. The sisters were freed following a police raid. 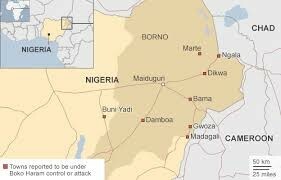 These are not the first kidnappings in Nigeria and in this part of the country. In September 2017 Fr Lawrence Adorolo, of St Benedict’s Catholic Church, Okpella, in the State of Edo, was abducted on his way back to his parish. At that time the local Bishop said that a ransom was demanded but the church does not pay ransoms in line with the policy adopted by the Nigerian Bishops’ Conference. Other reports from Fides show that during 2017 alone, at least three priests have been kidnapped in southern Nigeria. They include Fr Samuel Okwuidegbe, a Jesuit, kidnapped on 18th April and released on 22nd April. On 16th June, Fr Charles Nwachukwu of the diocese of Okigwe, in the State of Imo (in Southeast Nigeria), was kidnapped by five armed men, and released two days later. On 1st September 2017, Fr Cyriacus Onunkwo was taken and killed in the State of Imo. In earlier years Fr Gabriel Oyaka, a Nigerian Spiritan (Congregation of the Holy Spirit), was abducted in 2015 in the State of Kogi and there has been no news of him since. The most notorious of all the kidnappings in Nigeria took place in 2014, when the jihadist group, Boko Haram, kidnapped 276 schoolgirls. Many of the girls were only released last year. The Sisters of the Eucharistic Heart of Jesus are a Religious Congregation of educated African Women who dedicate themselves to devotion to the Eucharist. Archbishop Leo Taylor, SMA began the congregation in Nigeria, in 1943. He was responding to the need for a religious institute of African women. The Sisters have facilities in the USA and Canada.